forum.salviadivinorumblog.com • View topic - Help please - is this Salvia Divinorum? Help please - is this Salvia Divinorum? Matches description (square stem), but leaves don't match all the web photos. Perhaps a hybrid? Found growing in our garden in Peru. 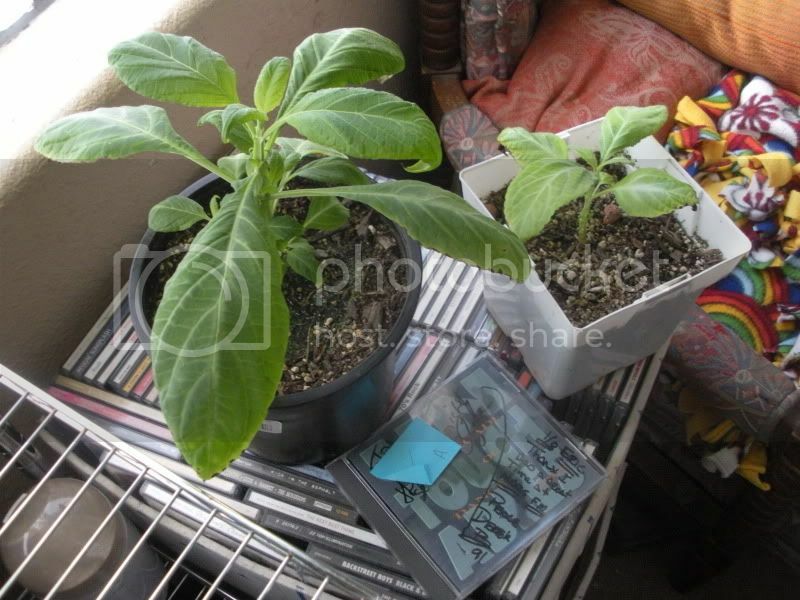 Re: Help please - is this Salvia Divinorum? It's probably a salvia, but divinorum I'm not sure. How tall is this plant? How big are the bottom leaves? Don't worry about the coloration (light vs. dark leaves or whatever). The leaves look very much like it, and so do the whorls, although I don't see the fuzzy white parts of the corolla (inside of the purple part). Thanks! The plant is actually a small tree about six feet tall, with sparsely growing narrow, square, bare and spreading branches. It started blooming when we moved here afterI pruned it quite aggressively as it was dormant and hadn't been tended. Definitely is a salvia of some sort, and about a month ago, some -not all - of the spires had a few white corolla (don't recall if they were fuzzy). No white flowers now - is that seasonal? The petals are indigo - a very deep purple. I love it because it attracts hummingbirds and when researching 'salvia care' to find out how to keep it blooming I found a shamanic site that had a pic of what appeared to be an exact replica of my plant on its home page. Which is what led me to this forum. Most of the plant (probably six or seven years old) is woody, and the leaves and flowers grow at the ends of the bare branches, which are as long as five feet. The leaves are slightly downy and a little bumpy (as you can see in the pic), and I've read that divinorum leaves are 'hairless' ... but they look exactly like some pix on the net that are labelled as divinorum - which is why I came to you guys, the experts... as you know the net is full of misinformation if one is not careful. Anyway, I am attempting to grow some from cuttings, but they are taking a long time to root. If they do manage to sprout some, I'll have an idea what the lower leaves look like in seedling form. Well, why don't you smoke some and give us a trip report anyways? What harm can it do?? Yup, thought of that... am drying a harvest now ... will let you know. Actually, divinorum does have "hairs", but they are microscopic, . The hairs I'm talking about are two of the four types of trichomes that grow on the surfaces of the leaves and calyxes: short-stalked and long-stalked capitate glandular trichomes. The size of your plant makes it sound like it isn't salvia divinorum. How much care do you give it? None? Because if not, and if it's salvia divinorum, you found the perfect place to grow it.